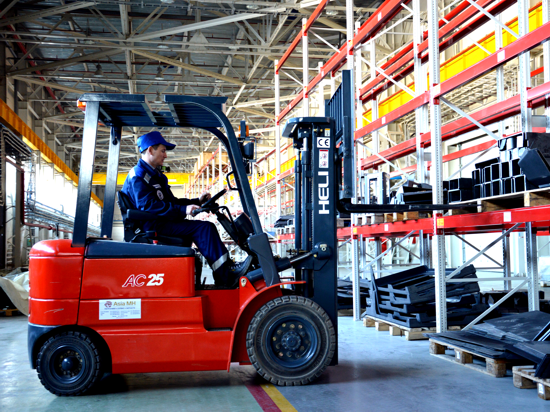 Electrovoz Kurastyru Zauyty (EKZ) was one of the main fruits of Kazakhstan's 2010 to 2014 State Programme for Industrial and Innovative Development. The factory, situated in the Kazakh capital of Astana, specialises in the development and construction of electric locomotives, initially designed for operation off 25 kV AC 50 Hz, the electrification system used by the country's State rail network operator, Kazakhstan Temir Zholy (KTZ). EKZ is the result of a strategic partnership between KTZ, the French train manufacturer Alstom, and the Russian engineering and train manufacturer Transmashholding (TMH). The end result of these partnership has been the production at the EKZ works of batches of electric locomotives, whose design incorporates Alstom technology. 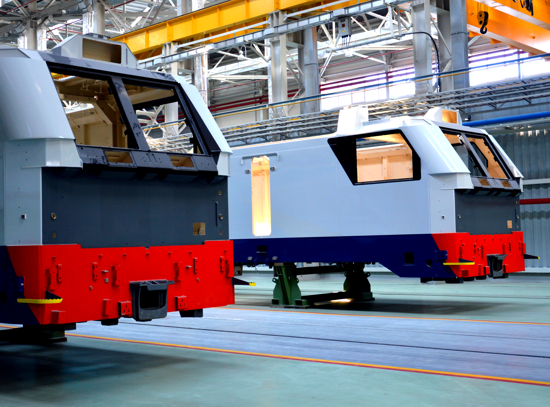 Alstom is one of the world leaders in railway mechanical engineering. One major objective of the project is to ensure that as many as possible of the components of the locomotives are produced within Customs Union countries. The target is to have 80% of components manufactured here. This will result in the reduction of overall production costs, and will enable the finished products to be more competitive in the international market, thus increasing export opportunities. EKZ thus has a dual purpose. First, it will be able to rejuvenate KTZ's electric locomotive fleet. And second, it will be able to serve as an exporter of modern locomotives to other countries served by the 1,520 mm gauge network. It has an annual design output capacity of 100 sections of Type KZ8A electric freight locomotives and Type KZ4AT electric passenger locomotives, both types designed for operation off 25 kC AC 50 Hz. The factory and surrounding premises are built on a site covering an area of 7.5 hectares. The factory halls where manufacturing takes place cover an area of 27,522 m2, while the administration block has a floorspace of 3.500 m2. With the factory running at full production, the total workforce is 650. 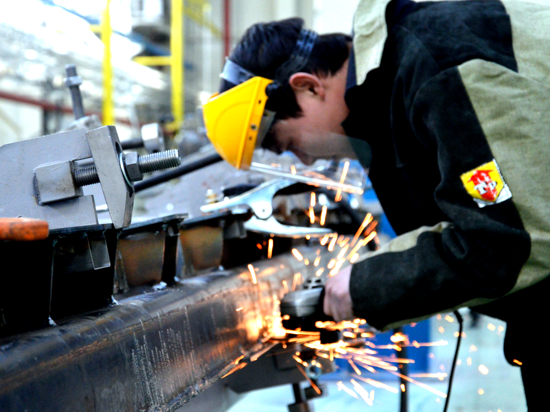 The EKZ factory is situated within the Astana Industrial Park, which is designated a Special Economic Zone (SEZ). This location maximises possibilities for synergies and information exchange between EKZ and other industrial concerns within the Park, while being within a SEZ means preferential treatment for taxation and payment of customs duties.